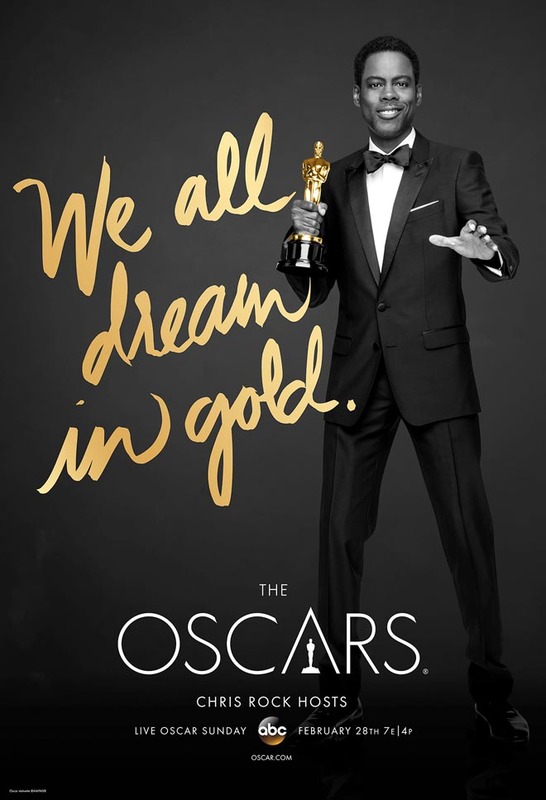 The Academy of Motion Picture Arts and Sciences is promoting the 2016 Oscars with “We All Dream of Gold”, an integrated advertising campaign featuring host Chris Rock and a range of actors and moviemakers. 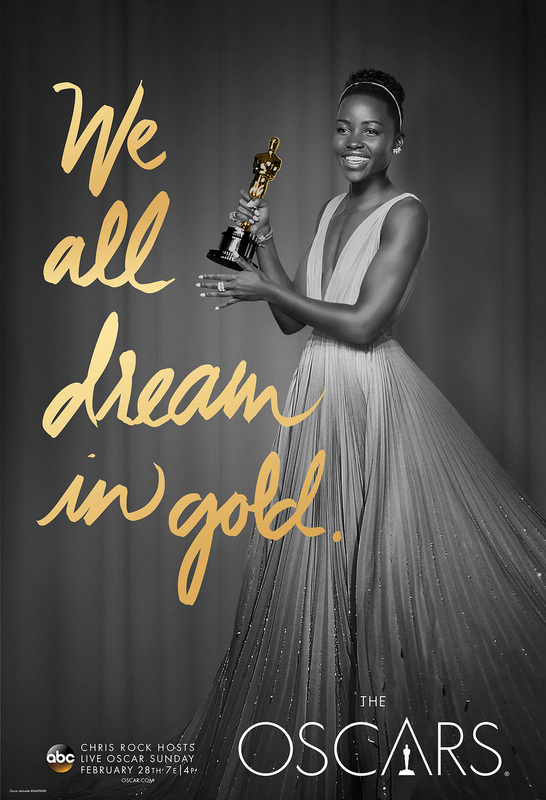 Print advertisements and posters print feature black-and-white photos of Hollywood stars holding their trophies at recent Oscars shows. The tag line is scripted in gold. A thirty second commercial features excerpts from recently released films. A 15-second spot, “Let’s Do This”, shows this year’s Oscars host, Chris Rock, sprinkling powder on his hands as if preparing for a gymnastics routine. While the “We All Dream in Gold” campaign features a range of African American actors, critics have used “We Dream in White” as a meme to critique the lack of ethnic diversity in the 2015 Oscars nominations. 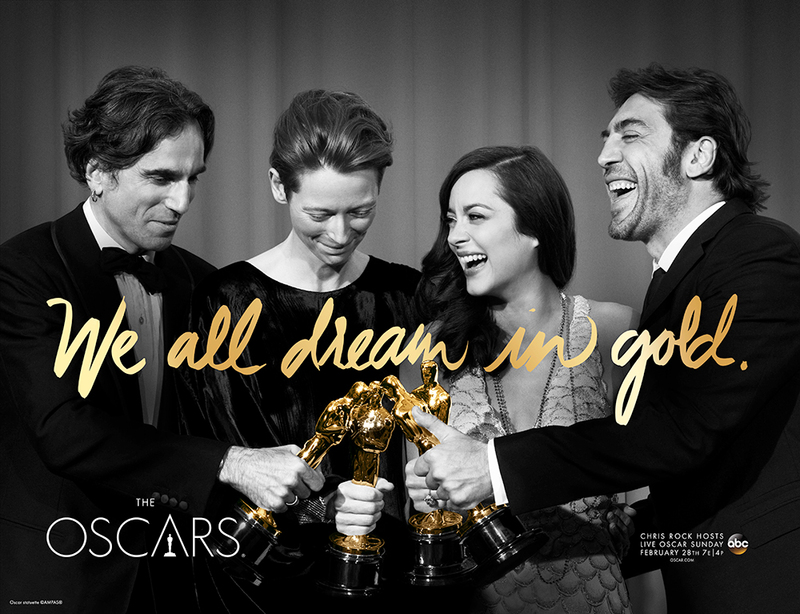 Daniel Day Lewis, Tilda Swinton, Marion Cotillard and Javier Bardem, best actors and supporting actors in 2008. Chris Rock holding an Oscar while hosting. 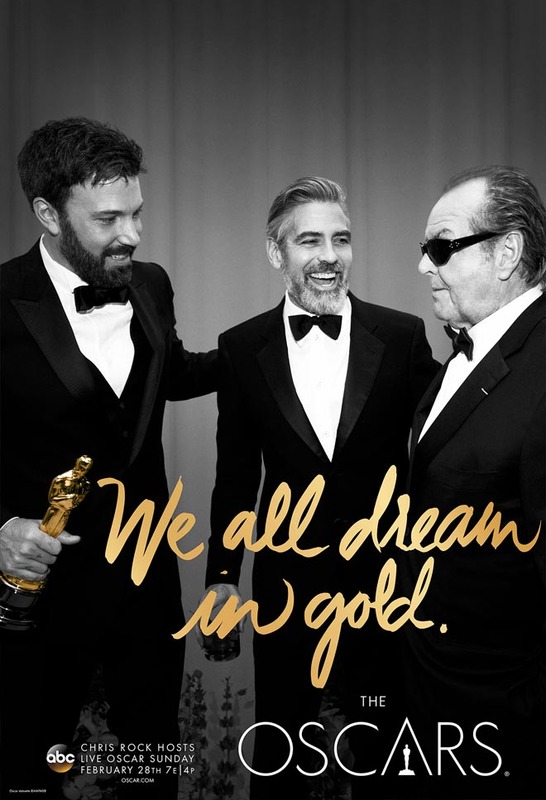 Ben Affleck, George Clooney, and Jack Nicholson together, for Argo, 2013. 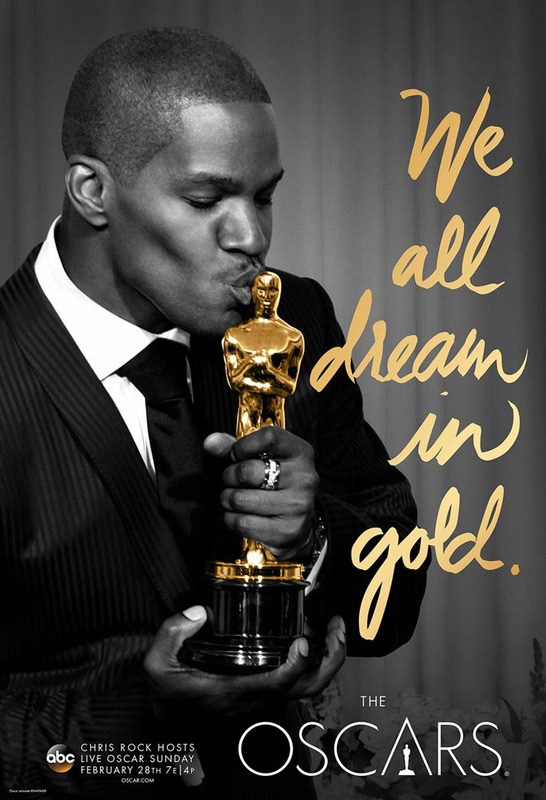 Jamie Foxx wins Best Actor for Ray in 2005. Lupine Nyong’o as Best Supporting Actress for 12 Years a Slave, 2015. 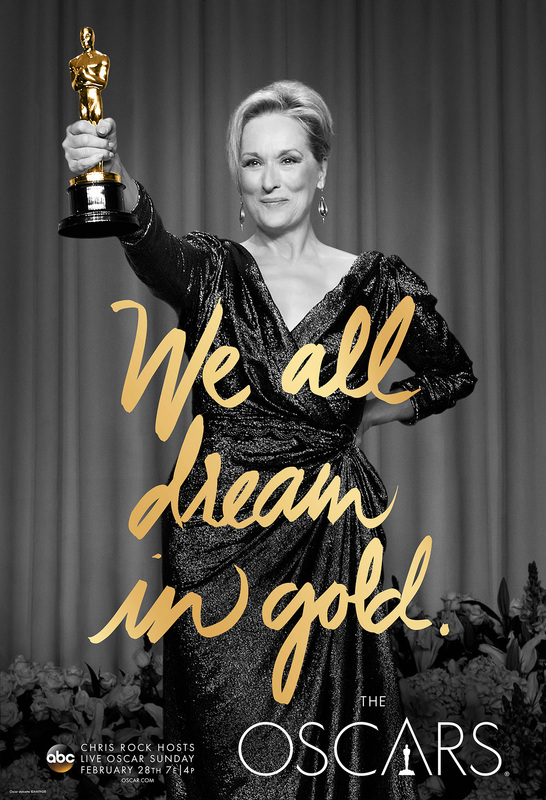 Meryl Streep as Best Actress in Iron Lady in 2012. 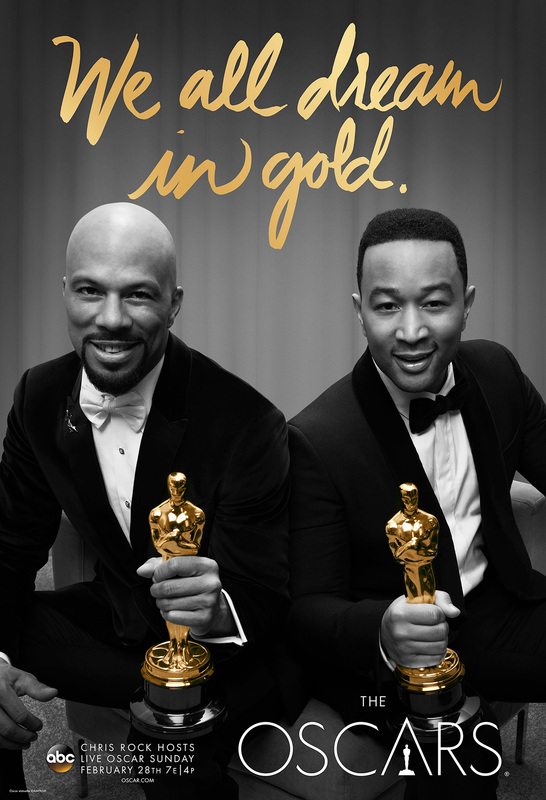 Common and John Legend for Best Original Song in Selma, 2015. 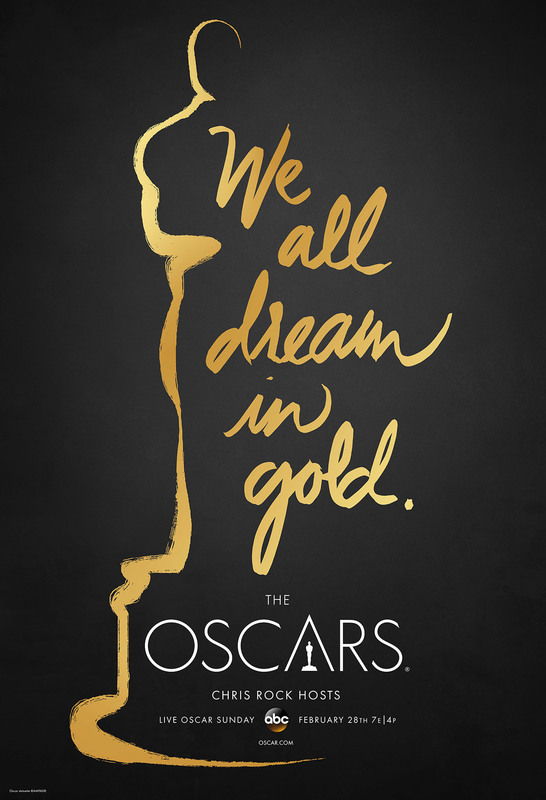 The We All Dream of Gold concept was developed at Academy of Motion Picture Arts and Sciences by creative director Ford Oelman and chief marketing officer Christina Kounelias. The posters were produced at LA, Los Angeles.